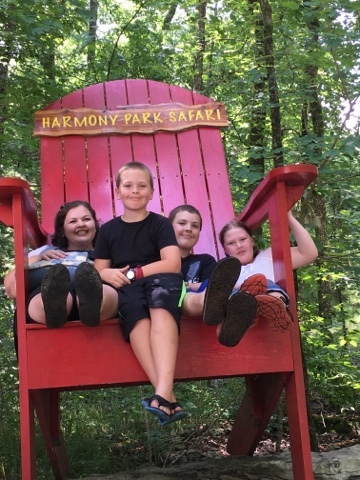 Our first stop on our Huntsville field trip was Harmony Safari Park. Honestly, if you didn't hear about this place through word of mouth, you might not even know it existed. 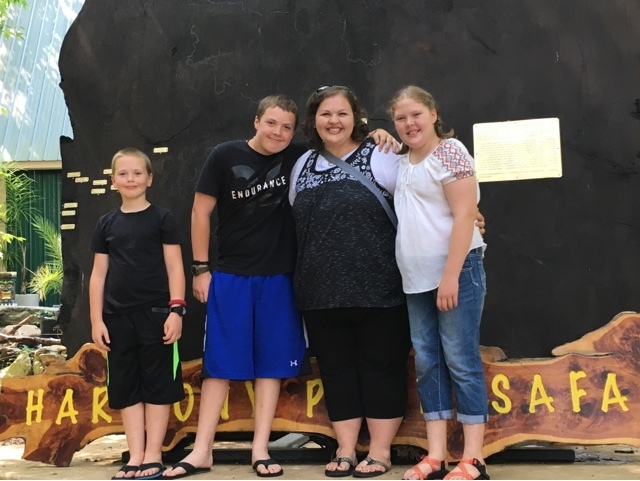 It's a little out of the way park but it was a fun experience! For the first part of the park you drive through. 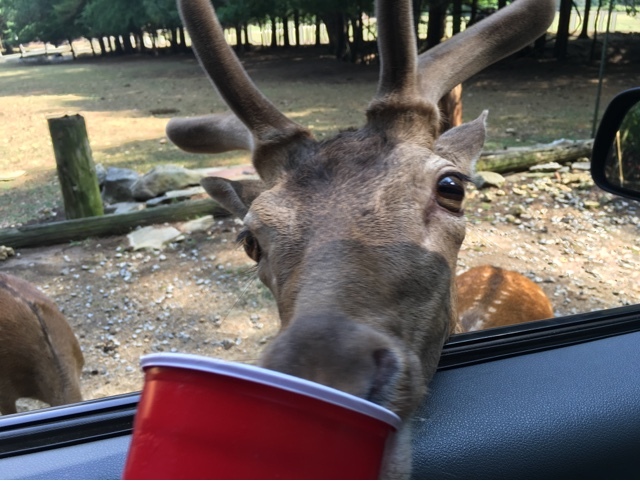 Animals come right up to your car and you can feed and pet them. And believe you me, they are everywhere! 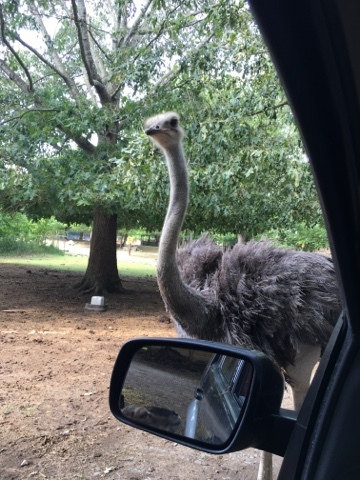 Emu, deer, goats, llama, ostrich, zebra, and more! 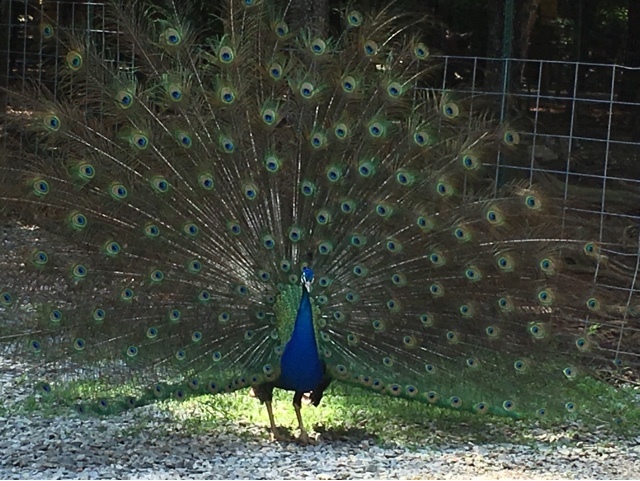 This peacock was ready for his photo op. He was spread out in all his glory. Absolutely amazing! 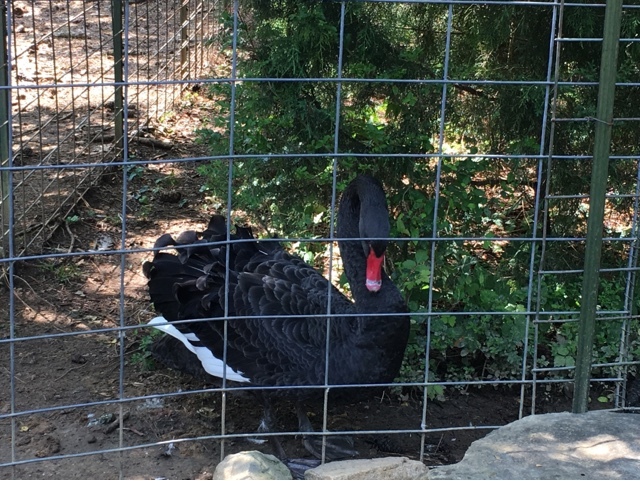 I've never actually seen a black swan before, but they are BEAUTIFUL!!! The back feathers are ruffled. What a pretty, pretty creature! 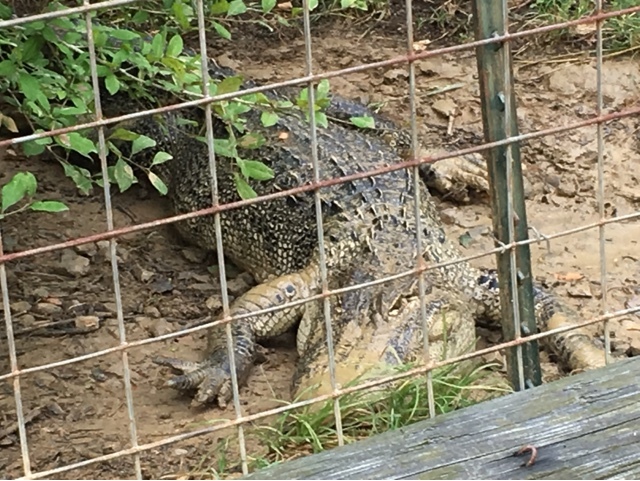 Thankfully this guy was too busy enjoying his breakfast to pay much attention to us. 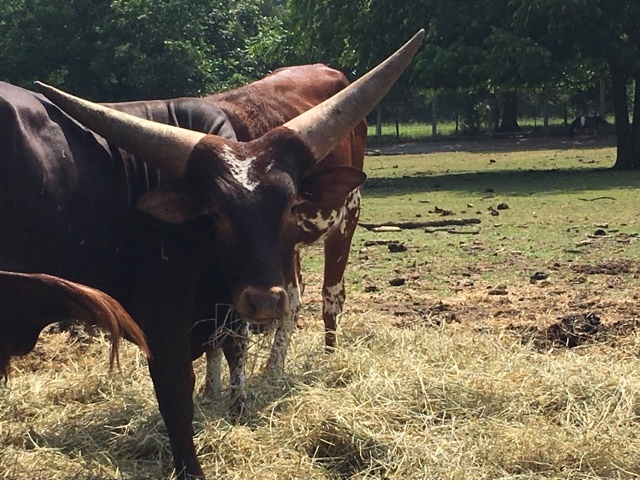 Look at those horns!!! WHOA!!! But now, here is an inquisitive fellow. Hey... what y'all doing in there? I'm just gonna come in and see for myself. 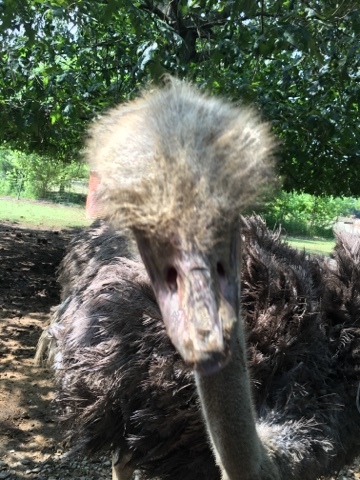 Seeing an ostrich in person was wild. 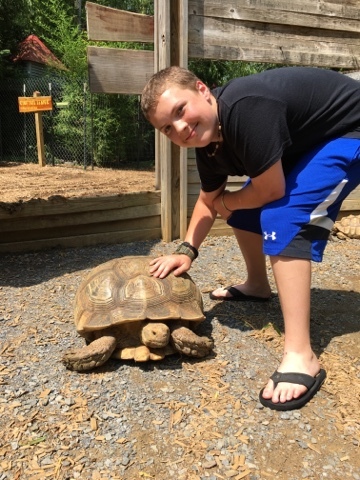 They are SOOO much bigger than you might think! And STRONG! When I was trying to feed him, his beak was enormous and a little bit scary! 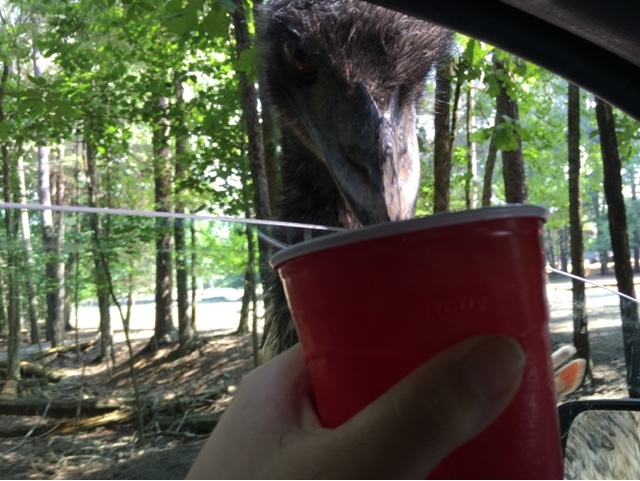 He knocked my cup down a couple of times with the force of his head trying to peck the food! 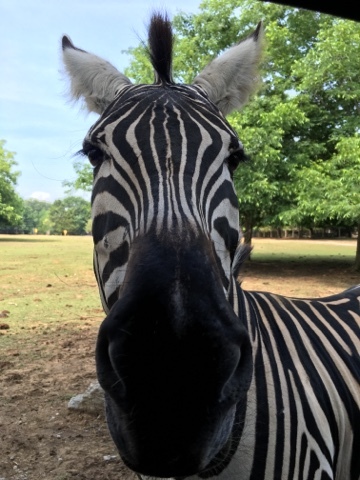 Up close and personal with a zebra! I will tell you, their hide is incredible. God really made some special and beautiful animals. 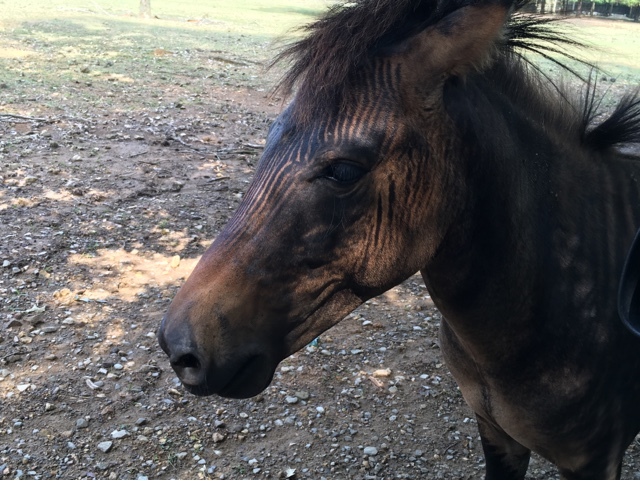 Look how his mane matches up with his stripes. 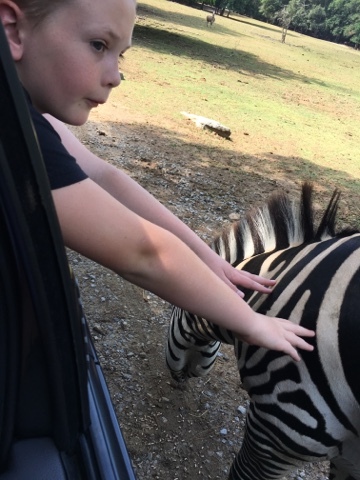 The kids were excited to get to pet the zebra! I believe this guy is a zorse... what's a zorse? 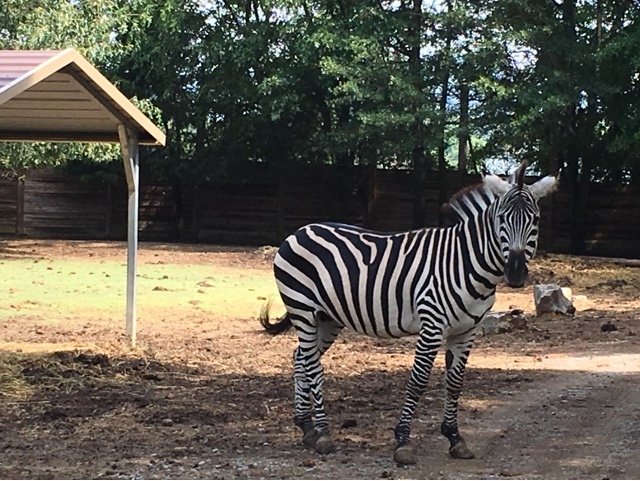 It is a cross between a zebra and a horse, of course! 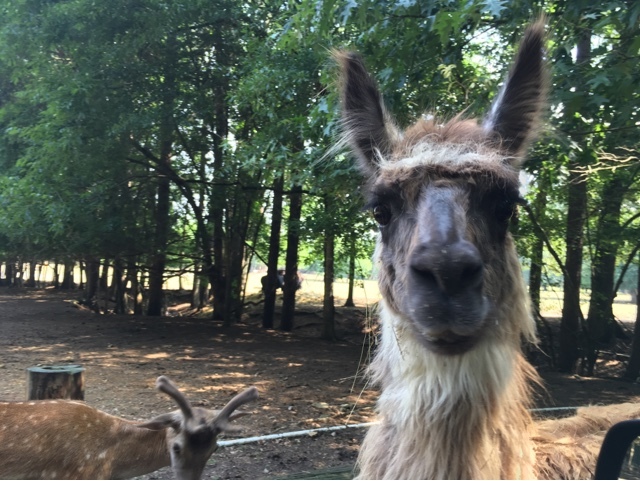 This llama walked pretty much the whole way with us, hoping we were going to bypass all the other animals and feed him the whole time. It was kinda hilarious. He came up and nibbled on my Mom's arm and she squealed. We laughed a whole bunch. And the most adorable creatures of all... my kiddos. 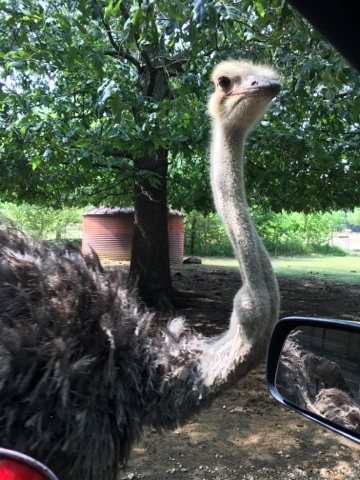 Again, if you enjoy animals and are in the Huntsville, AL area... Harmony Park Safari is a fun stop!